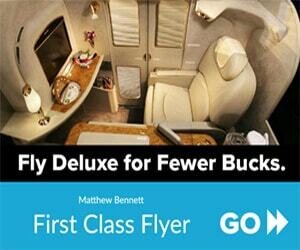 Most of us usually look for hotels that are conveniently located, affordable and comfortable, when it comes to travel. We also look for places to stay that have something out of the ordinary. Here’s 12 of the Quirkiest Hotels in the World highlighted by TripAdvisor which will provide an unforgettable sleep. Inside the bizarre facade of this hotel are all the luxuries you need . The main idea of the architect was that the building showcases the look of the traditional Zaan houses stacked on top of each other. 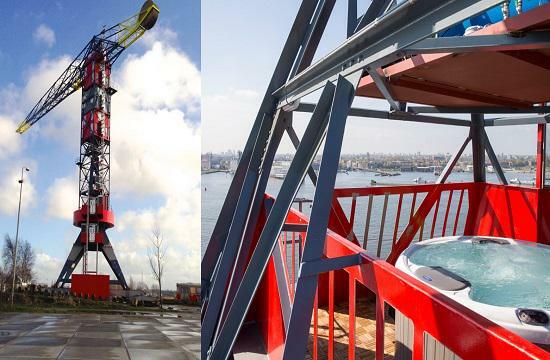 You can enjoy spectacular views inside a giant industrial crane converted into a luxury hotel. Each suite is located about 50 feet in the air and is accessible by elevator. If you are adventurous, you can try bungee jumping . The Sheraton Huzhou Hot Spring Resort was designed by MAD as a pair of curvaceous towers that connect on the upper levels to create an arched profile. It looks like a horseshoe. It’s located on the edge of Taihu Lake, the building’s iconic shape is reflected in the still waters. At first glance, it may appear that a spaceship has landed on the peak of the majestic Jested Mountain. This unusual structure in the form of a hyperboloid, is a 94 meter-tall television transmitter and hotel integrated into one. It’s the symbol of the region. 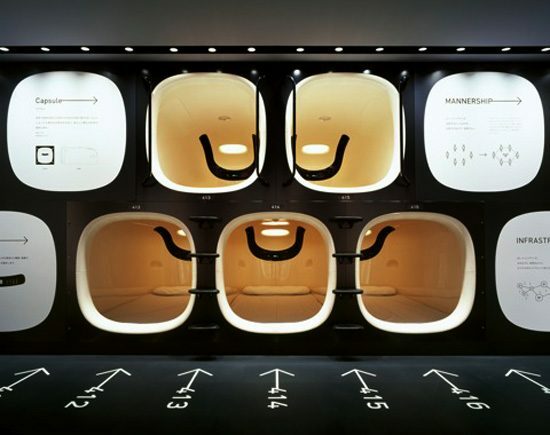 Nine Hours Capsule Hotel at Toyko’s Narita Airport is a high-quality and fully featured capsule hotel. This hotel is ideal for catching very early or late flights, in the hours when public transport is not in operation. Located on a coastal cliff in Jeongdongjin, a tourist destination known for having the best view of the sunrise in Korea, Sun Cruise Resort & Yacht is the world’s first on-land cruise themed resort. The Sun Cruise Resort offers year-round luxurious accommodations. The hotel really is a specially designed cruise ship on land. Formerly home to hundreds of soldiers guarding the approaches to Portsmouth, the arms and ammunition have long been removed making way for the most unique venue collection in the world. 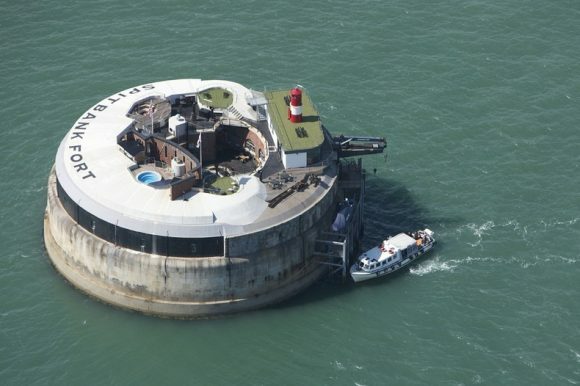 Spitbank Fort, the smallest of the Solent Forts offers nine luxuriously furnished bedroom suites, three bars and restaurant areas, spa facilities and the utmost privacy. Set among the tall trees of the west coast rainforest of Vancouver Island, Canada. You can experience a treehouse for adults. Free Spirit Spheres are suspended like pendants from a web of rope. The Aurora Express is a bed and breakfast in Alaska where you stay in renovated railroad carriages. These vintage carriages were set to become a museum until the Wilson family decided to turn them into a Bed & Breakfast. Now, the old railroad cars sit high on a hill overlooking Fairbanks. If you’re looking to take a break from your everyday life and retreat in a fairytale world, there’s probably no better place than La Balade des Gnomes, near the picturesque town of Durbuy, Belgium. Featuring ten amazingly-decorated bedrooms and a special suite designed as a Trojan cow, this place is certainly unique. Hotel Costa Verde is a recycled a 1965 model, Boeing 727-100 airframe nestled on the edge of the National Park in our Costa Verde, is perched on a 50 foot pedestal. At this height, you will appreciate ocean and jungle views from the hard wood deck built atop a wing. The sun cruise resort is my favorite too! 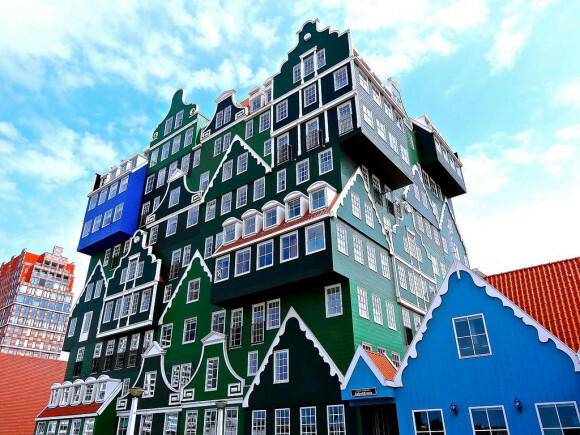 There are so many bizarre hotels all around the world worth seeing. These are just a few. 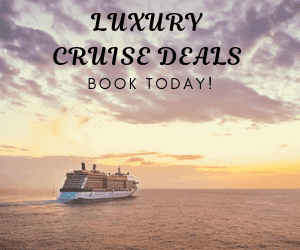 I love cruises so Sun Cruise Resort in South Korea would have to my top pick but Sheraton Huzhou Hot Spring Resort in China comes a very close second. I’d love to see that reflection in the still waters of the lake. 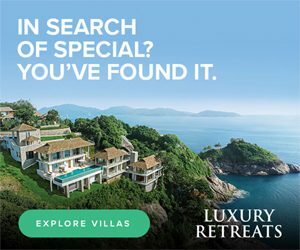 Actually all the places are very unique, great post Carmen. All the hotels are so unique, I wouldn’t mind staying in the tree house for one night to be adventurous.